What are you WoWing for this week??? Can't wait to see what everyone chose! I am so excited to read this one as well! Seems popular this week, I've seen it a few times. Great pick! Oh, god, I love werewolf books. This is going on my list. Thanks for the heads up. I always end up adding books to my TBR list after every WWW from you! This definitely sounds interesting. Of course he's a werewolf! LOL What other kind of twist does one find these days? Thanks for shring. Every time I read the summary of this book, I can't help but squee. In any other instance werewolves and the titanic would sound silly together but the summary makes it sound amazing. I absolutely can't wait for this book, great WoW pick! It reminds me of Here After. Love Gray's writing and I like the combination of historical fiction and paranormal. Great pick! I'm a new follower, check out my blog? Werewolves on the Titanic? Sounds intriguing. 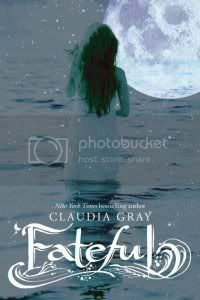 I have been wanting to read Claudia Gray's books. This might be a good place to start. This does look really good- great choice! I love Claudia Gray's books! I can't wait for Fateful. I'm glad that the cover is beautiful, unlike with some of the Evernight Series covers. Great pick! I love historical fiction and I've never read any of Gray's books, so I will have to definitely add this to my TBR list. Thanks for sharing it. Sweet nice pick, adding it to my TBR!! Dude!! That sounds crazy awesome!! Will have to get this one! Ahh! This book looks so good! 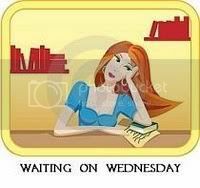 I am adding it to my TBR list, but I don't think the list can handle it- I'm already over 300! Wow! What an interesting book with twists! Thanks for sharing! Sounds intriguing though I haven't read anything else by Claudia Gray. I have considered this series, I think I may try it out, nice find. This sounds like a wow book. I haven't read any of Claudia Gray's books, but I met her in person and she's hilarious! :) I want to read this one too! YAY!! This was my pick too!!! I'm not too big on werewolves, but I almost want to read this because it's set on the Titanic - how bizarre! Wow. Sounds like this girl has a lot of problems. I don't know if I want to read it, but it is intriguing.